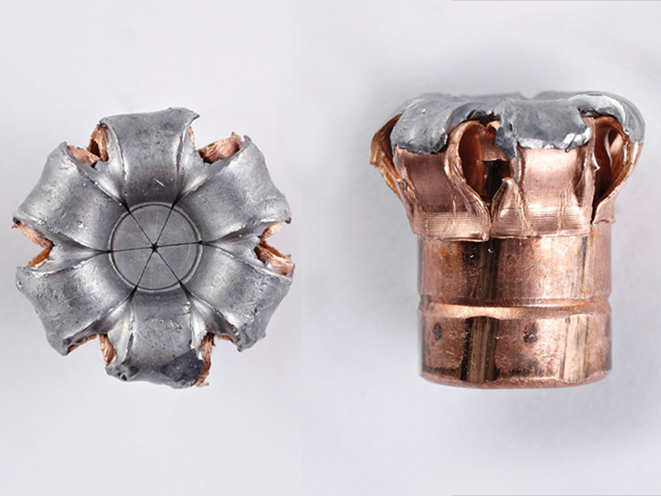 Three critical elements come into play when deciding between these three calibers. 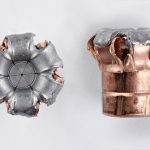 While it’s important to know how a round penetrates and expands, shooters also need to consider costs, capacity and how well they can handle the recoil to get back on target. 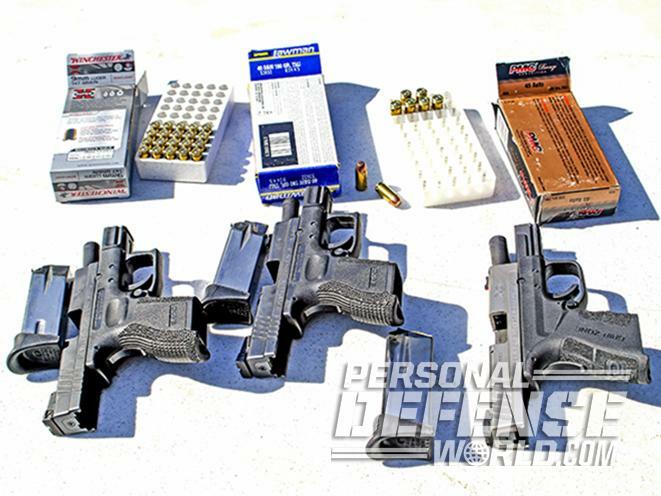 In 2015, three Team Pro Arms competitors tested three similar Springfield XD pistols in 9mm, .40 S&W and .45 ACP to see which one was more controllable under pressure. After the smoke cleared, the results were quite suprising! 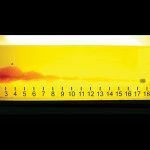 As you can see, Hornady’s 220-grain, .45 ACP FlexLock +P ammo demonstrates excellent penetration through sheet metal, but you and your gun need to be able to handle firing it consistently. Ammunition makers are creating some of the best loads ever—including this 230-grain, .45 ACP XTP +P from Hornady—but only careful consideration and testing will show you what you need to get. 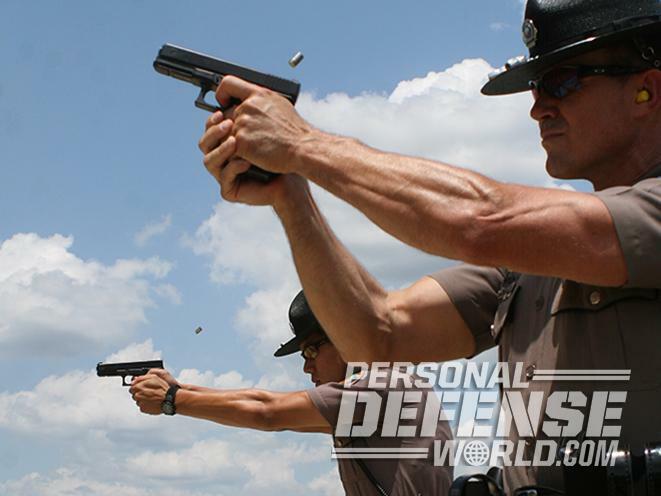 When it comes to selecting a duty/defensive handgun, there are issues that go beyond “stopping power.” Some of those are objectively measurable, but there are also subjective elements that can still be important and even decisive. While round count is not an issue in every gunfight, it certainly is in some. 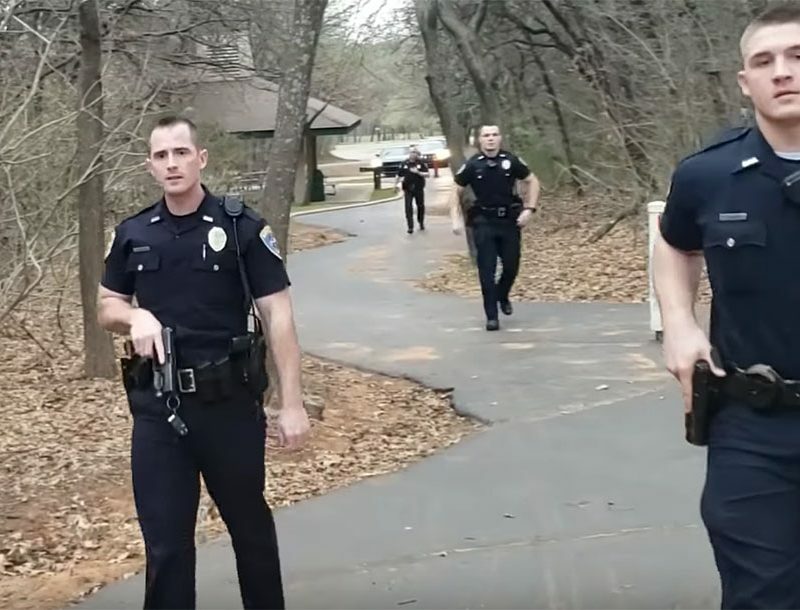 After Officer Tim Gramins’ famous gunfight several years ago in Skokie, Illinois—where he was deep into the third and last magazine for his .45- caliber Glock 21 when his 17th hit finally killed his antagonist—he switched to a 9mm Glock 17. He also was allowed to start carrying more than 100 rounds of 124-grain +P Gold Dot 9mm ammo while on patrol. Such things happen to private citizens, too. In at least one of his famous gunfights with multiple gang-banger/armed robber opponents, watch shop owner Lance Thomas had to fire 17 to 18 shots before the last of his multiple opponents had died or fled. He was able to accomplish this by resorting to multiple handguns he had carefully staged behind the counter at his shop. 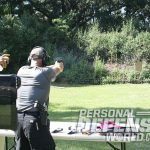 Had he been forced to rely on a single handgun, a fully loaded 18-shot Glock 17 would certainly have served him much better than a larger-caliber sidearm holding too few rounds. 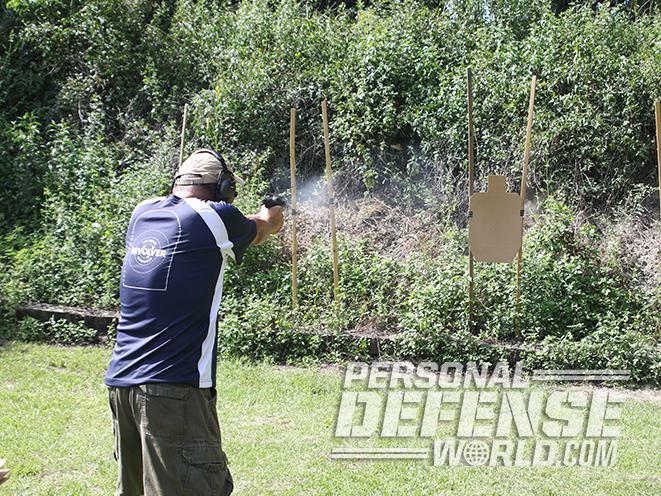 We resort to handguns for worst-case scenarios, which can go to high round counts. 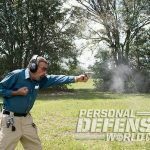 Thus, while a 9mm pistol’s greater cartridge capacity may not always be the deciding advantage, it is certainly an indisputable advantage. 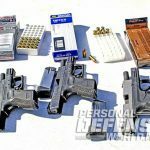 In both duty loads and practice ammunition, the 9mm is distinctly less expensive than the .40 S&W, and both are less expensive than .45 ACP. Whether we are talking about institutional or individual purchases, this is another indisputable, objective advantage to the smaller caliber. It takes less lead, copper and brass to manufacture. 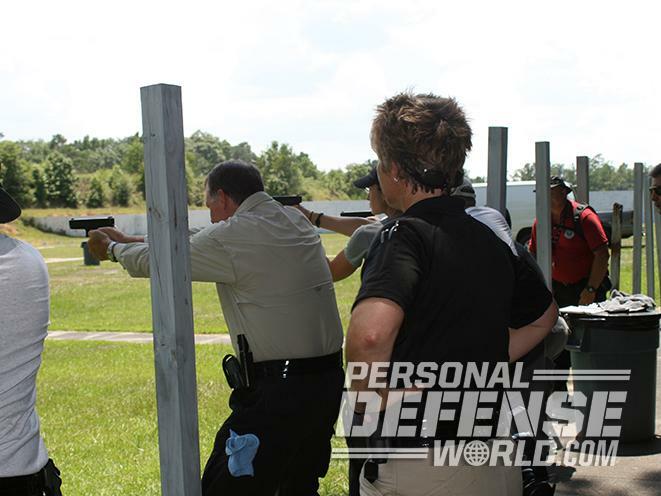 This means that, within a given budget, more ammo is available for skill-building practice. Since we can all agree that “wound placement” is the single most important element of using a gun to stop a violent attack, and the person inflicting that wound will require skill to do it, it follows that the more ammunition we can afford, the more likely we are going to be well trained. While we are on the topic, it should be noted that some service pistol calibers not under direct discussion here—like the 10mm Auto, .357 SIG and .45 GAP—are so much less in demand that ammo companies schedule fewer production runs for them, usually on smaller production lines. 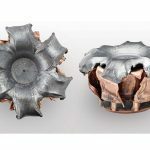 This impacts cost as well as availability in a negative way, since the “economies of scale” that keep costs down on the 9mm, .40 S&W and .45 ACP do not apply to the less popular calibers. Another logistical element is weight. 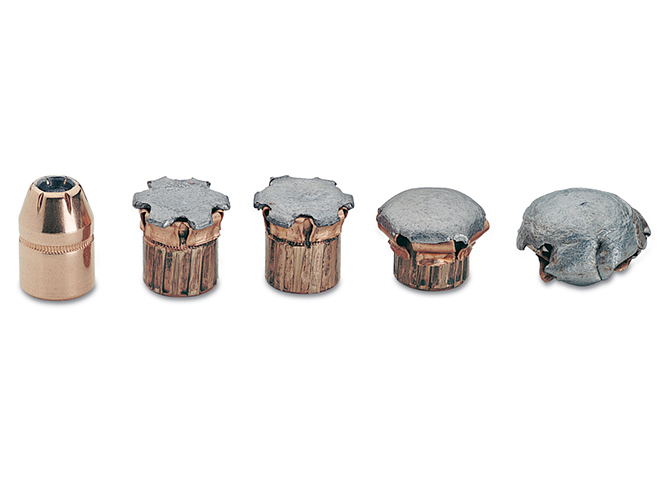 Soldier, cop or civilian—the weight of your ammo is a big consideration. If, for instance, you’re flying to a training session, the FAA and TSA generally limit each passenger to 11 pounds of small-arms ammunition in checked baggage. This will allow considerably more 115-grain 9mm training rounds than 230-grain .45 ACPs. 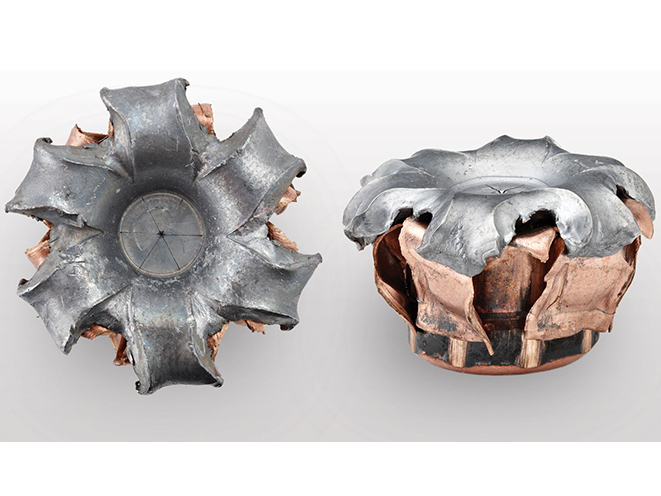 Conventional wisdom states that a lighter-kicking round will be easier to shoot rapidly and accurately than more powerful ammunition. While this sounds obvious and objective, it is not 100-percent true and therefore does have some subjective elements. Moreover, the smaller caliber does not always kick less. Differences in gun platforms may change things. A very small, very light 9mm may be more unpleasant to shoot and induce more flinching than a full-sized .45. 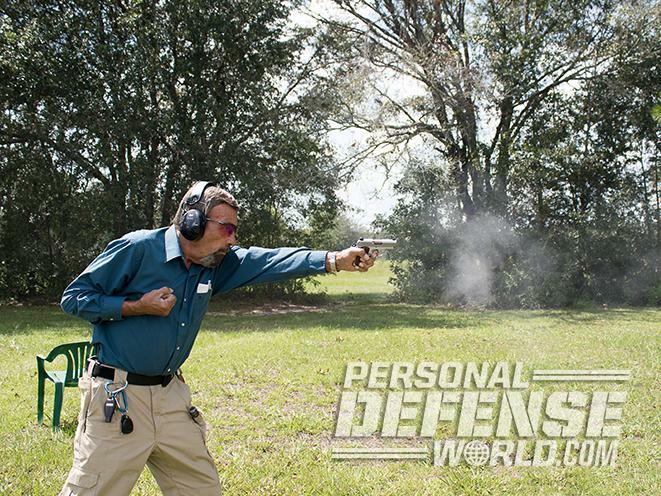 Many shooters find the .40 S&W to have snappier, more distracting recoil than a .45 ACP in a similar platform. Your load choice can change things, too. 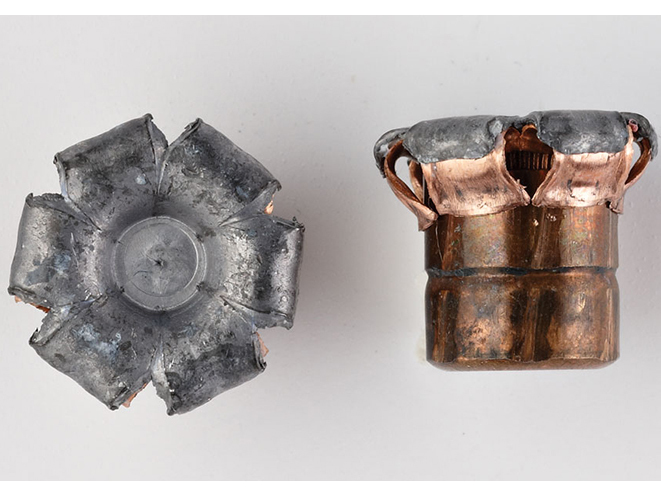 In .40 S&W, for example, a 155-grain JHP at 1,200 fps or a 165-grainer at 1,140 fps are similar in power to a 158-grain .357 Magnum revolver load at 1,210 fps. 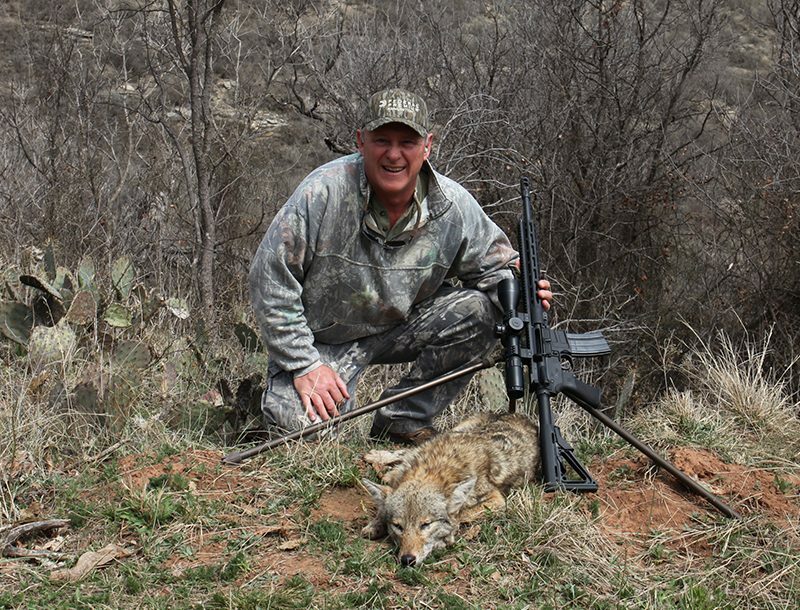 This makes them particularly snappy and, as agencies such as the U.S. Border Patrol discovered, hard on the guns as well. 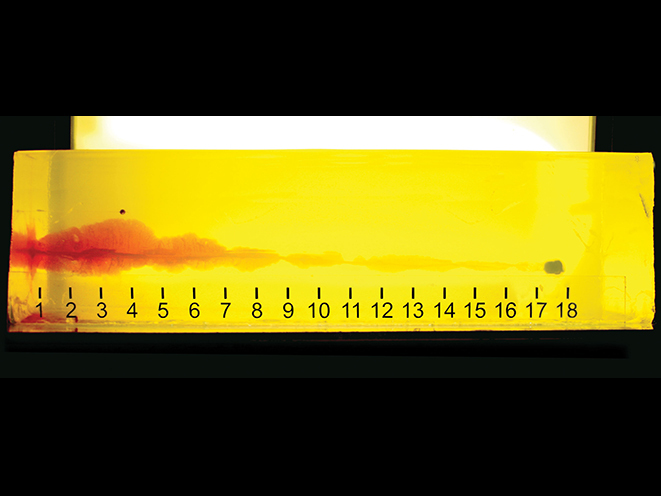 Some 180-grain .40 S&W ammo in the 950- to 1,000-fps range is more manageable, and 165-grain .40 S&W rounds in the same lower-velocity range are even lighter in terms of recoil. Certainly, as a general rule, in platforms of similar size, shape and weight, the 9mm will have less recoil. 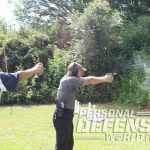 This will be a particular concern with new shooters or “remedial shooters” who tend to flinch or jerk their triggers in anticipation of recoil. Many law enforcement agencies (including the FBI prior to announcing an agency-wide return to the 9mm) had been in the practice of replacing poorer shooters’ .40-caliber Glocks with 9mms of the same make. However, when some pundits say, “You can shoot a 9mm faster than a .40 or .45 of the same platform,” they are simply not correct. 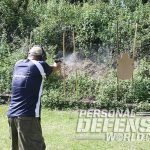 Pressing the trigger, allowing it to reset forward and pressing it again takes exactly the same amount of time irrespective of caliber and recoil, assuming similar guns. 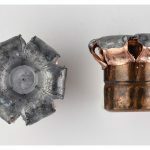 What will change is that, if the shooter’s technique has not allowed the gun to recover from its recoil arc to get back on target, when the next shot breaks, the cone of dispersal between shots may be wider. There is also Geometry 101: as distances between the shooter and target increase, the accuracy should suffer accordingly, particularly if the firearm has not returned fully from its last muzzle rise when the next shot is fired. 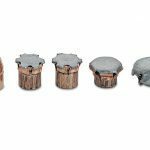 for the 9mm, 180-grainers for the .40 S&W and 230-grainers for the .45 ACP. On a range already set up for the IDPA Classifier event, two distances were chosen: 5 yards, the closest that had been marked out, and 20 yards, the farthest. The shooters were two IDPA Five-Gun Masters and one IDPA Five-Gun Expert. Each fired as fast as he thought he could hit the target. The times were measured and factored into their scores. 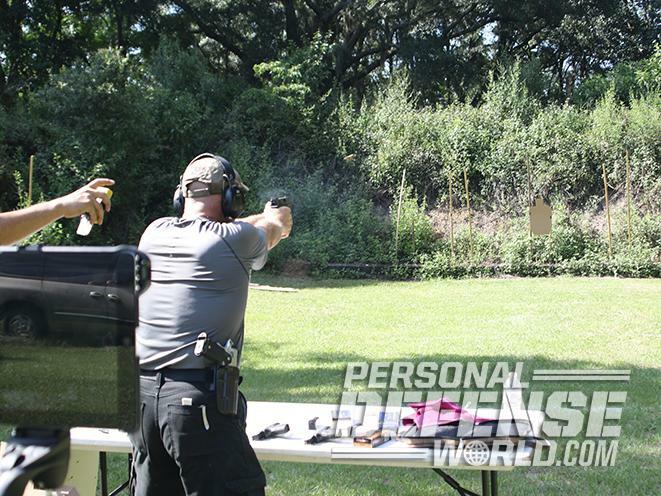 When the proverbial smoke had cleared and the numbers had been crunched, the two Master shooters had actually gotten better hit factors with the .45 ACP. The Expert had done his best with the 9mm. All three had their poorest scores with the .40 S&W. 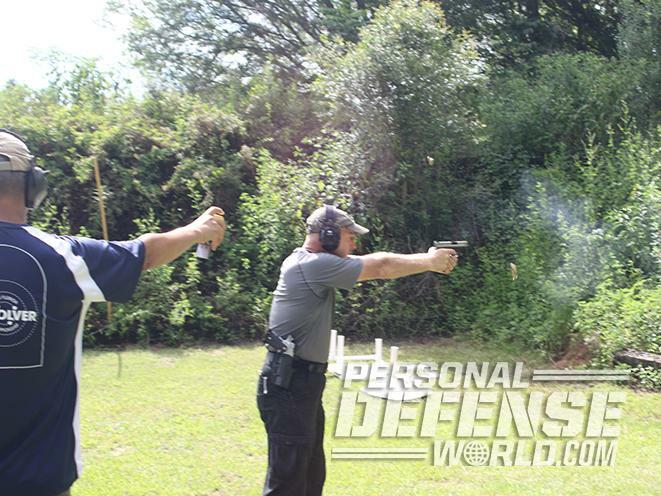 The lesson: Conventional wisdom does not necessarily apply to every handgun user. The bottom line: While controllability most often favors the smaller caliber, it’s not an absolute. You cannot be absolutely sure which gun you will shoot fastest and/or most accurately with until you have objectively compared your skill with the different chamberings. Confidence and competence are inextricably intertwined. Talk with a man who didn’t draw his Seecamp .32 ACP against a dangerous aggressor because he didn’t think the tiny bullets would stop him, and considers himself lucky to have survived without fighting back. Talk to a man who decided not to engage a mass murderer because he didn’t think his five-shot revolver had enough rounds to stop the killer before he, the would-be rescuer, became the next victim—a decision for which he would forever after second guess himself. Whether or not we all agree with another person’s assessment of what caliber to use or how many rounds to carry, we will not be with that individual when he or she has to make a life-or-death decision. 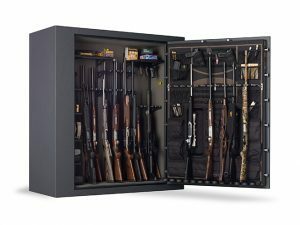 The gun you are confident in is likely to be the one you perform best with, so long as it is reliable and loaded with ammunition suited for the task and the caliber. This is a subjective factor, but one that we cannot ignore. And so the argument goes, on and on. To some, this is not a debate but something close to a religious war, and they will occasionally declare their version of a fatwa against “unbelievers” who dare to challenge their doctrines. Which is why this long and acrimonious debate is destined to continue.